The famous “Hall of Faith” passage in Hebrews 11 even highlights Biblical heroes who “died in faith without having received the promises, but they saw them at a distance, greeted them, and confessed that they were foreigners and temporary residents on the earth.” Yes! We remember the heroic faith of people like Noah, Abraham, Sarah, Isaac, and Jacob in part because they remained faithful even when God’s promises didn’t come to fruition during their lifetime. They lived for something bigger than themselves. Zechariah didn’t even believe the word from God until Gabriel took away his ability to speak until his son John was born. This story has a lot to teach us about endurance and long-term faith. Very often, our timing isn’t the same as God’s timing, but that doesn’t mean that God has forgotten about us or ignored our prayers. We must cling to the promises of God’s Word, never letting go of what God says about us. By faith, we must worship Emmanuel, “God with us,” and rejoice in every circumstance, knowing that God is always true to what He says. 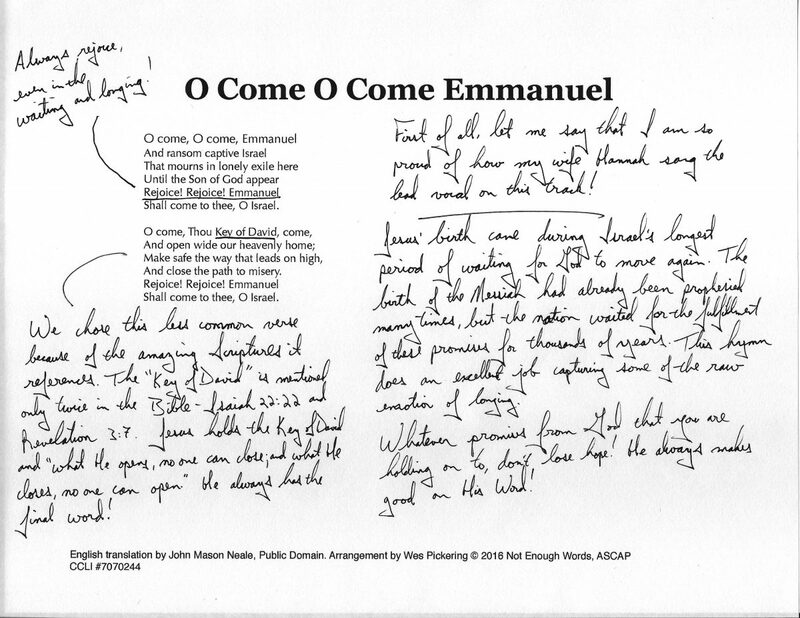 This song is from the album Glory: A Call to Worship at Christmas, available for purchase now.